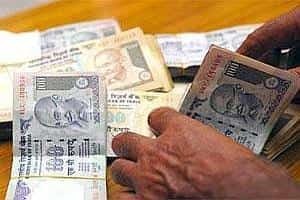 The insurance regulator, Insurance Regulatory and Development Authority (Irda), has defined the limit on commissions that an agent can get while selling you an insurance policy. The limit is defined in the Insurance Act, 1938. In case the insurance company is more than 10 years old, the first-year commission is capped at 35%. While it is difficult to assess the commissions payable to agents in traditional plans because of their opaque nature, the regulator has made it mandatory for the insurance companies to disclose commissions in case of Ulips. One can find out about the cost structure in the illustrations that agents are mandated to carry with them when selling Ulips. An illustration carries the year-on-year charges in a Ulip. For single-premium pension policies offered by life insurance companies, the commission payable is capped at 2% of the single premium. In case of a regular premium pension policy, the commission payable in the first year is capped at 7.5%; in subsequent years, the commission is capped at 2% of the premium. On non-life policies, the cap on commissions is 15%. However, the regulator has specified individual caps on various lines of businesses under the non-life sector. For instance, the maximum commission payable to an agent for motor insurance is 10% of the premium paid. Here the premium taken for calculation is the premium paid for the “own damage" component of the cover. There are no commissions on third-party cover. For health insurance, the commission is limited to 15% of the premium payable. These commissions are also payable on renewals. As per the Act, agents can’t refund their commissions in part or whole to their customers. This is to ensure that agents do not entice their customers into buying an insurance policy. Any agent who offers rebates in order to procure business may be fined up to ₹ 500. However, insurance companies can offer rebates in premiums as a policy feature. For instance, insurers offer rebates on high sums assured.